Acer unveiled two new Predator Helios gaming notebooks today at the [email protected] global press conference in New York. Both Windows 10 notebooks offer new technologies and innovative designs to keep gamers ahead of the competition. The all-new Predator Helios 700 includes a unique HyperDrift keyboard that slides forward, allowing increased airflow directly through the top of the notebook, enabling gamers to push the powerful components to their highest potential. 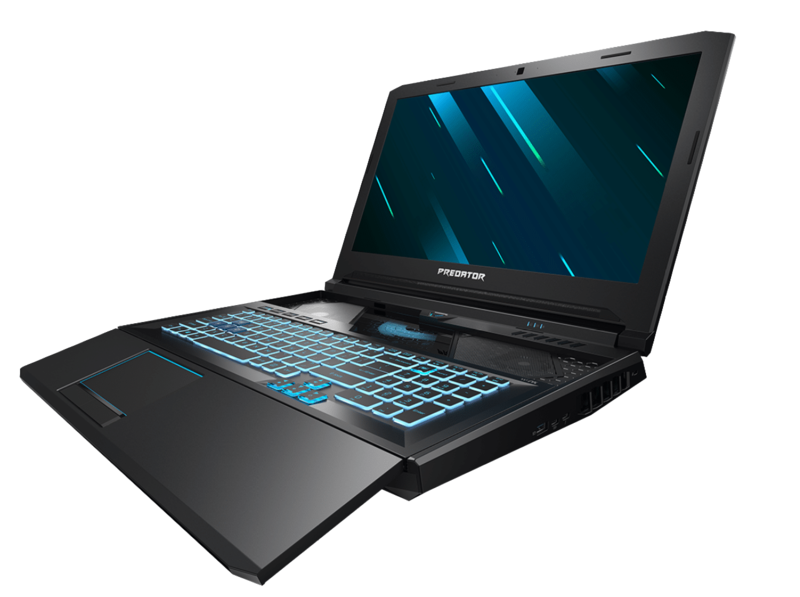 The redesigned Predator Helios 300 includes a sleek modern look and is powered by either up to a NVIDIA® GeForce RTX™ 2070 with Max-Q Design, or the latest GeForce® GTX GPUs, yet still retains its budget-friendly price tag. It’s well-suited for task-heavy computing, as its high-end hardware provides the performance needed for gaming, streaming, and video and photo editing. 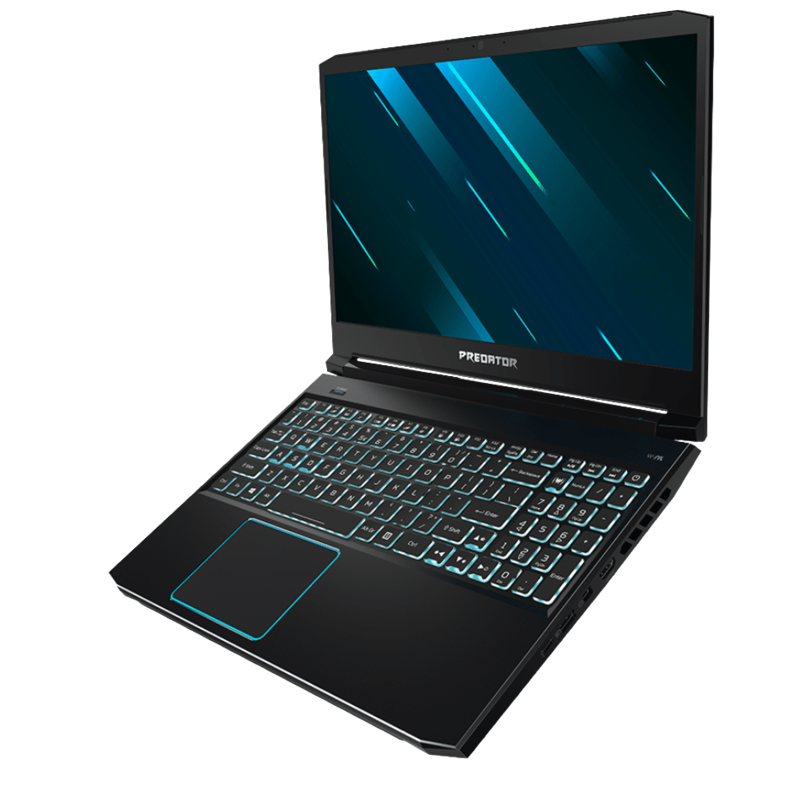 Powering the uniquely designed Predator Helios 700 notebook is an army of the latest and greatest technologies ready to battle, including up to an all new 9th Gen Intel® Core™ i9 processor for top of the line overclockable performance, an NVIDIA GeForce RTX 2080 or 2070 GPU, up to 64GB of DDR4 memory, and Killer DoubleShot™Pro with Killer Wi-Fi 6 AX 1650 and E3000 — delivering up to four times more network capacity in dense environments than previous generation wireless AC networks — while plenty of high speed storage keeps load times short. All that power makes games roar to life on the notebook’s 17-inch 144Hz FHD IPS display with 3ms response time and NVIDIA G-SYNC™ technology. Five speakers and a subwoofer keep the games immersive and engaging with full and realistic audio. A Turbo hotkey quickly engages overclocking while the new PredatorSense hotkey provides immediate access to CPU and GPU temperatures, fan control, RGB lighting, and more. Per-key RGB lighting also enhances online gaming with Predator RGB Assault-League of Legends (LoL)  by tying in the keyboard’s lighting to the action on the screen while battling in LoL. The new Predator Helios 700 and Helios 300 notebooks were unveiled today at the [email protected] press event held in New York, where the company announced a range of new devices and solutions for gamers, creators, families, students and professionals. For more information, visit www.acer.com/nextatacer. Overwolf software required in order to use. Game availability for use with RGB Assault varies.